I am a 33 year old doctor, an orthopedic surgeon to be precise. My hectic job profile does not mean that I am not entitled to have fun. I am a very lively person at heart and I live each day as if there is no tomorrow. Maybe that's why I fell in love with Melbourne, the world's most livable city right from my childhood. I have been watching cricket since the age of 10 years. By watching I mean following and worshiping. My enthusiasm for cricket made me take up this sport professionally along with studies. I was in the under 19 cricket team of Uttar Pradesh during my MBBS years!! 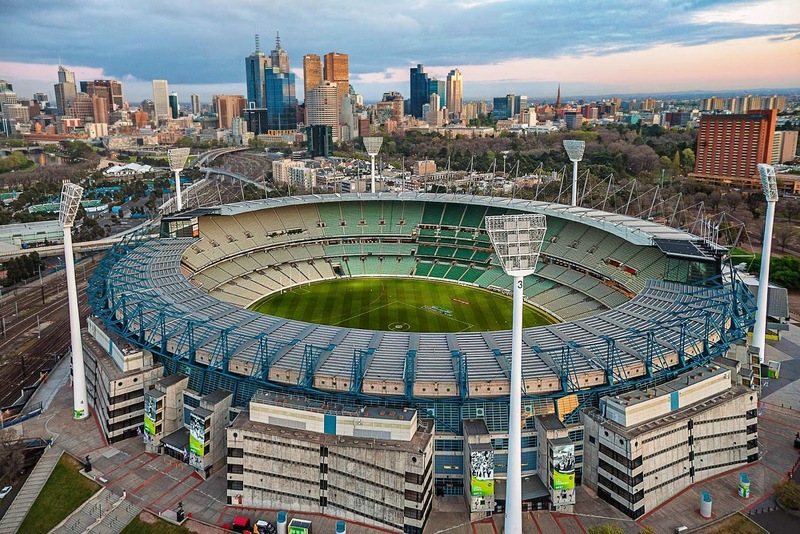 Well, love for cricket undoubtedly takes people to Melbourne, Australia and that's how I fell in love with this city for the first time at the age of ten years!! When Indiblogger came up with this contest along with Tourism Victoria, my joy knew no bounds! Here's why I love this city and hence it would be a dream come true to visit Melbourne! 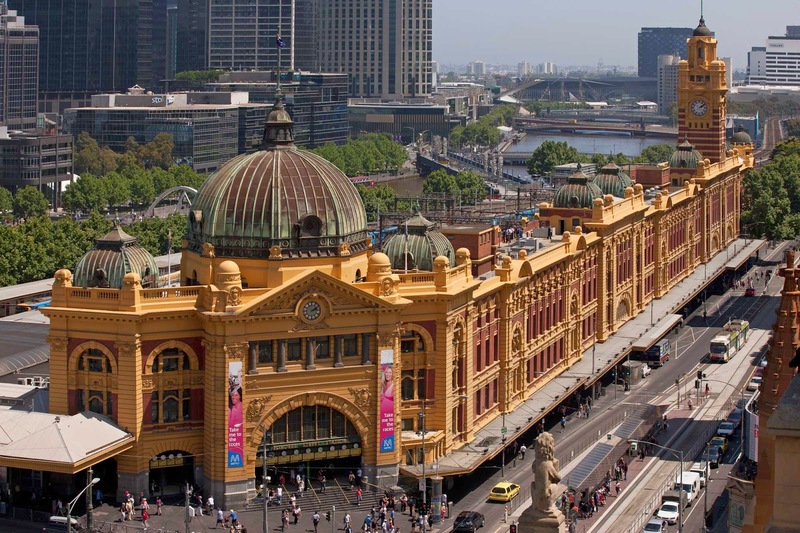 Melbourne is the capital of Victoria and the second most populous city of the country. So for a cricketer like me, the first and foremost reason for loving Melbourne is of course the Melbourne Cricket Ground. This place has hosted millions of matches till now and not only ricket but its the home of Australian football too. Built in 1853, this place has a total seating capacity of a whopping 100,024 people! 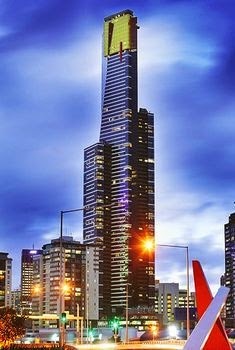 As I grew up, my penchant for travelling increased and so did my knowledge about my dream city Melbourne. 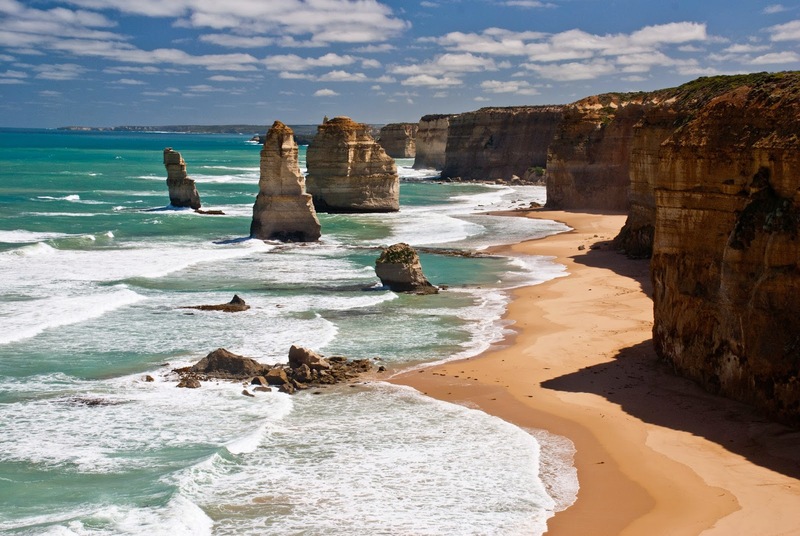 I fell in love with the Great Ocean Road and the spectacular twelve apostles. I would love to drive along the picturesque 243 km stretch with my family. The mountain on one side and the Pacific ocean on the other would provide the perfect companions. 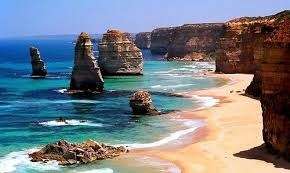 The twelve apostles would be the perfect place to profess my love for my wife once again. Never thought that something like eroded limestone cliffs can be so beautiful. Who loves heights? I know majority of the general population is acrophobic; but there is really something in scaling great heights. By scaling I don't mean conquering the Mt Everest et al. Technology has really made our lives easier and those who can't climb peaks, there are observation decks!! I have been to quite a few watch towers...the tallest being Burj Khalifa, Petronas twin Towers, KL tower, Singapore eye etc. All of these are in the Northern hemisphere. Now melbourne has something to offer in this genre too!! The EUREKA SKY DECK is the highest observatory deck in the entire Southern hemisphere!! Whoaa!! Standing at 297 meters, it is 91 storeys above ground plus one. Being here at level 88 ( the sky deck experience) would add one more feather to my cap of heights!! During my school days I was scared of botany. I had always loved plants but somehow studying them did not excite me. However the scenario entirely changed after I got married!! My wife who is a doctor too is an ardent botany fan. She began dragging me to botanical gardens and I fell in love with such places too!! The Royal Botanic Gardens is one such place which I would not want to miss!! Established in 1846, this huge place boasts of thousands of species of flora! 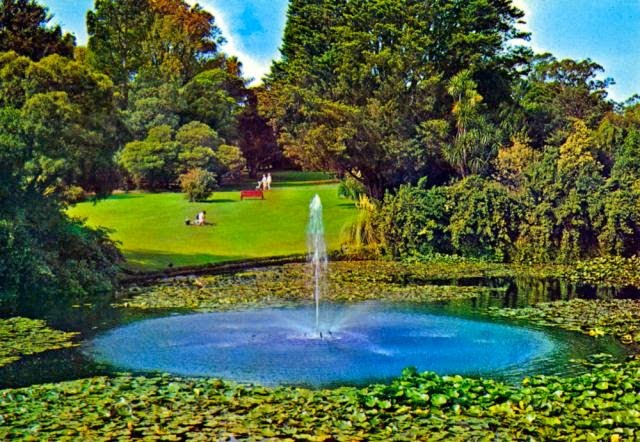 Well manicured lawns with fountains and a lagoon, I would not ask for anything else! Have you ever rode on a tram? I had my first stint with trams when I went to Kolkata, the only place in India where trams operate. I have been fond of trams from childhood when I used to watch That's so Raven. The Melbourne City Circle Tram is a blessing for tourists. Not only it covers many of the important tourist spots but its completely free too!! How cool is that! You can get off at any place and again board it whenever you want. There is a clockwise service as well as an anti clockwise one. It's just like the HOHO bus of Delhi but much more interesting and free of cost! 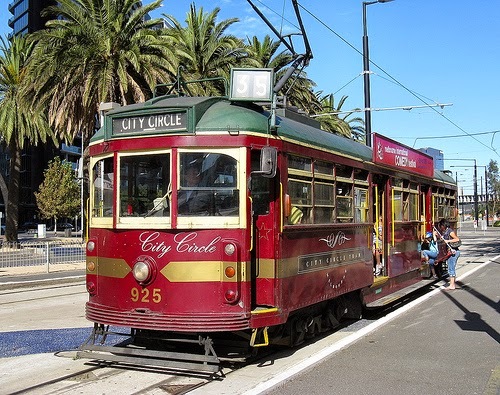 The amazing Melbourne city circle tram at free of cost! 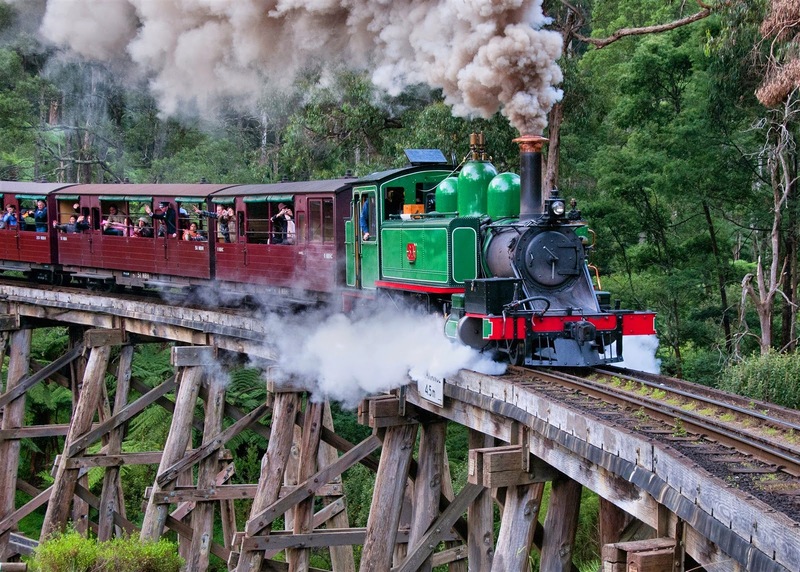 The puffing Billy is the oldest preserved steam engine. This century old train runs on its original mountain track from Belgrave to Gembrook in the scenic Dandegong ranges. Its a narrow gauge train which takes its visitors on a 25 km ride through lush green forests. Which trip is complete without some local shopping? You get malls everywhere with housing almost all standard items of international brands. It's flea market shopping which defines a place. 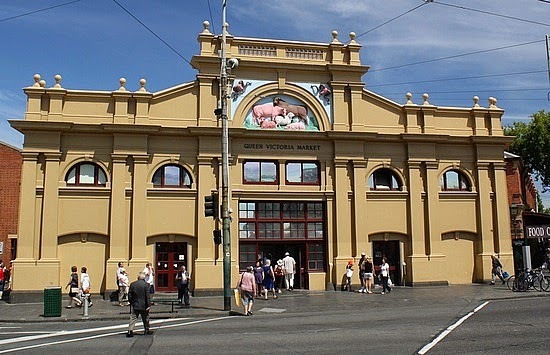 Come to Queen Victoria market in Melbourne. Established in 1878, it is spread over seven hectares. From fruits and vegetables to non food items, its the largest open air market in the Soutthern hemisphere. One more reason why I am in love with this city!! The Flinder's Street station is one of the most reognisable landmarks of the city. Its the busiest suburban railway station in the Southern hemisphere. A lot of my love are the indulgences that Melbourne offers but that doesnot mean that I have forgotten God. 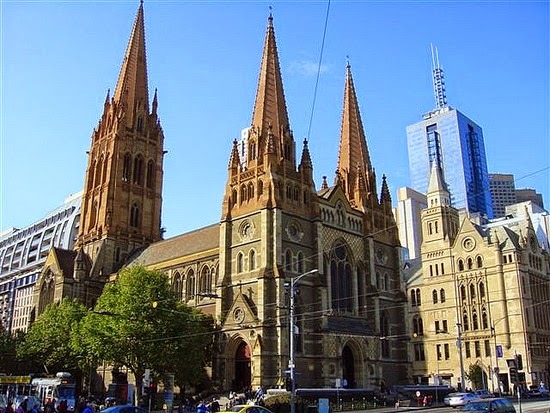 The stunning St Peter's cathedral is the home church for Anglicals in Melbourne and Victoria. Who says you have to go to Antarctica to visit penguins? You can do that in Melbourne! The Penguin Parade allows to to see the world's cutest animals in their natural habitat! 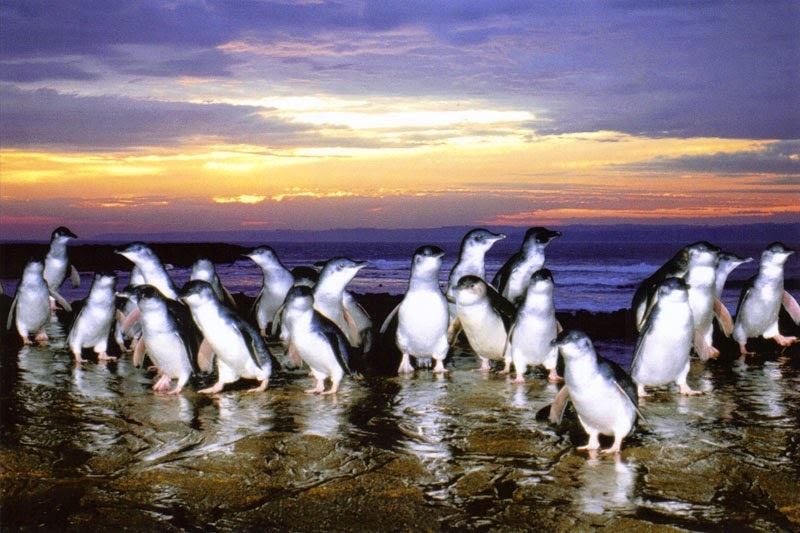 The Philip Island nature parks is the largest home to the little penguins in the world! Every sunset thousands of little penguins march from the sea to their sand dune burrows! In 2005 when I watched the movie Salaam Namaste, I fell all the more in love with Melbourne. Then again early this year the movie Shaadi ke effects was shot in Australia; a major chunk of which was in Melbourne. The hero proposes to the heroine on a hot air balloon and that is the ideal romantic moment for me! Last and the most important, I love the hot air balloon ride over the Yarra Valley! 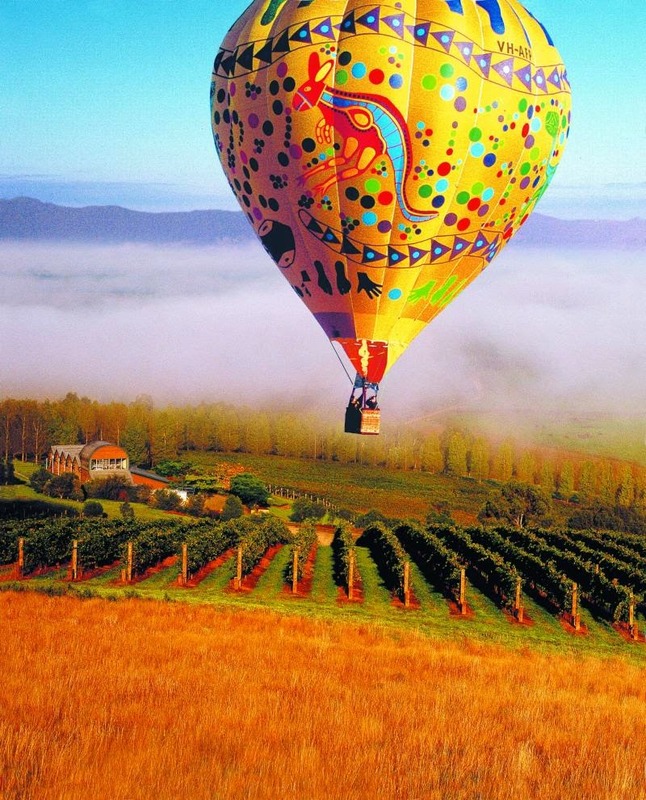 Hot air balloons are itself over the top romantic and when that takes place over a vineyard..its beyond imagination! Wine and romance goes hand in hand! I would love to propose my wife once again atop the vineyard..flying in the sky! There are a hundred more reasons why I am in love with this city and these are the most important ones!! This city surely knows how to live!! Here's an awesome video of all the fun things you can enjoy in Melbourne. Come fall in love with Melbourne! Now something for my readers too. Watch the above video and tell me which one of these places would you like to visit in Melbourne and why? Leave a comment in the end and you could win a 500 INR gift voucher! Hurry! contest closes on 4th january! Thanks to Vitoria Tourism for organising this contest!